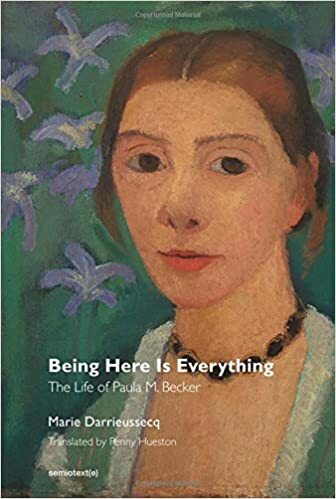 Being Here Is Everything: The Life of Paula Modersohn-Becker – loudlatinlaughing – Euge! Euge! An excellent, short biography cobbled of artist Paula Modersohn-Becker out of a collection of letters and journals. She lived a short life (1876–1907), marrying a widower (Modersohn) in 1901 and then spending most of her final six years trying to create a space alone to paint, traipsing off to Paris to escape the muddy winters of northern Germany. Her death, like so many others, brought on after giving birth, that most dangerous of activities. Her friendship with Rilke gives the most color to this biography, his rapturous letters and poignant “Requiem for a Friend” written on the year anniversary of her death. A wonderful effort by Marie Darrieussecq to bring Paula to life for us a hundred years later, giving us just enough detail to make us realize how much we missed by her not living longer.